I just finished watching the archive of "Introduction to Social Curation." The session opened my eyes to yet another reason why the development of a PLN is important and why it is so important to 'give back' or 'pay it forward.' One of the slides shared during the session stated, "It is based on reciprocity and a level of trust that each party is actively seeking value-added information for the other." As the instructional technology specialist for a K-8 school, I considered it my job to collect (or curate) information for my teachers, parents and students on a variety of topics and subject areas. I first began the process collecting websites for students and posting them on a static webpage called Mrs. Fucoloro's Favorite Websites (actually my second website). Those sites took a long time to find as search engines weren't what they are today. Then, wikis burst onto the scene. I moved all of the content from my old webpage to the interactive Mrs. Fucoloro's Wiki. I began using the social bookmarking tool, Delicious, instead of saving my bookmarks to my computers at home and at school, a very confusing process. Not to mention the panic that would ensue if a computer crashed and all of my bookmarks were lost! Then, there was a rumor that Delicious was going out of business, and I switched to Diigo. I am a Diigo fan because Diigo allows for highlighting and commenting, my favorite features. The problem with Diigo is that it is a bunch of words. I find that I rarely go back and revisit or browse the content I have saved unless I am specifically looking for something. Enter, Pinterest! I LOVE Pinterest! It is visual, fun, and easy to browse. I am not a fan of Learnist, though I am giving it a shot. I am also giving EduClipper a try, which is a safe space for younger students and is similar to Pinterest in usability. So, what's the difference between all of these tools? What's the difference between social bookmarking and content curation? Well, honestly, I think I have been using the social bookmarking tools, Delicious and Diigo, for content curation as well as simple bookmarking. However, content curation according to the session seems to be more deliberate and focused, where as social bookmarking is archiving content over time. During the session, Jeffery Heil said that Pinterest represents a hybrid of the two. I actually save all pins to Diigo, but I don't save all Diigo bookmarks to Pinterest. I don't know, the lines seem to be blurred to me. Perhaps the difference is the manner in which content is shared. Shared. That is the key word. That reminds me of what Jeffery said at the beginning of the session, 'It's not about the tool--it's the community.' Adam Bellow once said, "Date the tools, marry the abilities." The important ability is that you can connect with a community of people who you trust, collaborate and laugh with, and learn with and from. It doesn't matter which space you choose as long as it has the ability to be easily accessed, explored, and shared. Great explanation of the difference between curation and social bookmarking. When you use Pinterest - Are you focusing on finding good visuals or do you pin regardless if it doesn't have a good visual and because you want to share the information with others? Would love to check out your Pins to see how you approach it. Love the explanation. Sue I use pinterest, the visuals help me remember what the topic is. I try and a look for a good visual. 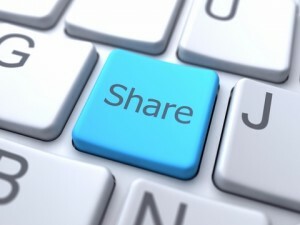 Can you share a link to your Pinterest account? Would love to check out how you use it. Thanks for the explanation of how you choose where you curate! And for the link! I also failed Blogging 101 last week and forgot to make sure I had enabled comment email notification for my commenters :( They've went me back to blogging school. I'm really enjoying reading everyone's Posts. I'm learning a lot from every one's reflections! Just followed your link off of today's #moedchat to read your blog. I'd like to know more about the session you attended, because I disagree slightly with the idea from Jeffery Heil: "Pinterest represents a hybrid of [curating and social bookmarking]." As I wasn't at the session, I'm nervous that I might be commenting on only part of his message. I think the distinction between curation and social bookmarking is simply how the tools for doing such are used. I know lots of people that bookmark everything they find (ie Diigo), and others that pin everything they find (ie Pinterest). I would say that this type of action is more like simply collecting things. It is the organizing of them that starts to move into the curation of that collection. Bookmarking typically uses tags, and Pinterest uses boards. The main objective of these very similar actions/concepts, is to start putting things into categories for the purpose of finding them later. Really good curation comes from then using those categories to create a valuable subset of resources that can then be used for some purpose. That purpose could be personal, like preparing for a lesson or unit. It could be for sharing with students as they start a research project. It could even be for a blog post to share with a PLN. The point is, the subset has more worth as it addresses a specific need at that moment and could be considered a "best of" list from the entire collection. The tool itself I think is irrelevant. I'm much more in tune with Adam Bellow's statement: "Date the tools, marry the abilities." As a teacher of teachers, my biggest drive is to get teachers to start collecting and curating regardless of the tool. Some like Diigo for good reasons; others like Pinterest for good reasons. With both tools, they are actively searching, saving, and organizing resources. In the end, they are connecting and sharing with others as part of a community... the exact points that you made at the end. That's the social side of curation that build's a teacher's PLN. And a strong PLN is good for both teachers, and the students of that teacher. "The tool itself I think is irrelevant. I'm much more in tune with Adam Bellow's statement: "Date the tools, marry the abilities." As a teacher of teachers, my biggest drive is to get teachers to start collecting and curating regardless of the tool." I was throwing Jeffery Heil's comment out there for conversation. I agree with you, it's all in how the tool is used and most of the tools offer the opportunity to annotate, organize, reflect, and share, or simply bookmark. I'm glad you stopped by this blog and shared your thoughts. I actually started a new blog www.theeducatorscafe.com and am using this one exclusively for #etmooc until the end of March. Sometimes I cross-post, though. I agree totally with you both. It isn't the tool but the thought process of what resources you collect and how you manage them using the tool. Hopefully you don't mind but I'm the www watcher :) Most aren't aware of this and it is handy to know as leaving the www off speeds up the loading of your blog. WordPress powered blogs don't support www. It'll automatically redirect the URL to http://theeducatorscafe.com (unless you've set it up to force www which isn't recommended). Lots of our educators on Edublogs get caught out by this because we expect everything to be www.